A New Complete Edition, presenting Mozart’s entire work - 240 hours of music - in the most authoritative edition ever created.
. . . an extraordinary snapshot of contemporary attitudes and ideas about the composer . . . many of the recordings in this new set help define what might be called the contemporary hybrid Mozart style, informed by the scholarship and insights of the period-instrument movement, but modulated for the contemporary concert hall and modern instruments. An eclectic "pan-historicism" governs the approach to this 200-disc survey . . . unlike other sets, this overview includes historic recordings, classical performances on both historic and modern instruments, and a far more extensive account of Mozart's fragments, arrangements and works of doubtful authorship than ever before . . . no one who listens through even a fraction of the 240 hours of music captured here will be able to defy this claim: that in 2016, this is what Mozart sounds like. For Mozartians, it's sheer heaven in a moss-green box . . . [the 200 discs] reflect a variety of performing styles . . . a judicious mix of interpretations of major works [including some that have earned the "classic" Appellation] . . . There is only space here to offer a whistlestop tour through "the Compleat Mozart" but it will provide years of sheer Mozartian joy, whether you stick to the well-known or dive into the rarities. And however you take your Mozart, this anniversary box is a thing of great beauty and a remarkable achievement. Mozart's "bread and butter" serenades, divertimentos, and cassations tellingly elucidate this edition's stylistic diversity, from the classic and genial Willi Boskovsky Vienna Mozart Ensemble recordings to a brand new disc where Ottavio Dantone and the Accademia Bizantina scrub decades' worth of interpretive cobwebs off of A Musical Joke and Eine Kleine Nachtmusik while retaining the grit, so to speak . . . the painstaking care, preparation, scholarship, and inclusiveness distinguishing Mozart 225 cannot be disputed . . . [you're getting 200 CDs], plus durable, high quality, and visually appealing packaging. If that's not a bargain, then Mozart wasn't a genius.
. . . those who acquire the invaluable set will be rewarded for a long time come.
. . . a treasure-trove . . . authoritative . . . classic accounts . . . a Complete Mozart Edition has never before been this complete, never had this variety, and never exuded this kind of authority -- and the presentation does it proud. An extraordinary achievement, and -- as it turns out -- a timely one as well. Now that's what I call Mozart! . . . a magnificent undertaking . . .
. . . for serious Mozart lovers it's a treasure trove. I enjoyed this listening experience more than any other single release of the past year. Expert scholarship, an engaging new biography, elegant presentation and impeccable recordings make this far more than an exercise in luxury packaging. It is a reassessment of Mozart and his role in our current moment of music history, and proof of the persistent vitality of his legacy.
. . . a dazzling set.
. . . including Arnold Östman's spirited chamber recording of "Le nozze di Figaro" and fresh, robust performances by John Eliot Gardiner, Christopher Hogwood, Trevor Pinnock, Frans Brüggen and Marc Minkowski and their respective ensembles . . . [Mozart's music is so rich and open to interpretation that it would be absurd to claim that any one set, even one as carefully curated as this one, could ever be considered authoritative. Still, "Mozart 225"] comes closer than anything we've ever heard before.
. . . "Mozart 225" gives his music the five-star treatment . . . "Lavish" is the word that comes to mind when beholding "Mozart 225." Mozart 225 is a bumper collection for all Mozartians, which surely means most lovers of classical music . . . lavishly packaged . . . Mozart's crowning symphonies, the great G minor (K550) and the "Jupiter" (K551), are entrusted to Frans Brüggen's Orchestra of the 18th Century, whose expressive intensity and momentous elan match, for me, the best "old school" Mozartians . . . there are performances of the last two symphonies on modern instruments by Sandor Vegh's Camerata Academica Salzburg, which are as exhilarating as Brüggen's . 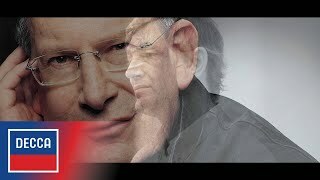 . . [Mozart / "ldomeneo"]: John Eliot Gardiner's 1991 recording has not been bettered on disc . . . [Mozart / Divertimento K. 563]: the Grumiaux Trio's performance is a classic version of a too rarely heard masterpiece . . . [Mozart / Piano Concerto no. 27 K. 595]: The combination of Clifford Curzon as soloist and Benjamin Britten as conductor, from 1970, remains irresistible . . . [Mozart / Mass in C minor K. 427]: Sylvia McNair's ethereal "Et incarnatus est" and Diana Montague's virtuosic "Laudamus te" are just two highlights of Gardiner's unmatched performance . . . Erich Kleiber's complete recording of "Figaro" represents the postwar Viennese Mozart style at something like its best, featuring Cesare Siepi's saturnine Figaro, Lisa Della Casa's dreamy Countess and Hilde Gulden's sparkling Susanna.
. . . guaranteed to bring joy to music-lovers . . . a whopping 24 lb. box of recordings and commentary . . . Wow. There are the vivid, transparent accounts of the early symphonies by Trevor Pinnock and Christopher Hogwood, moving for the later ones to Frans Brüggen and John Eliot Gardiner. There are the pioneering fortepiano accounts of the concertos by Malcolm Bilson and Robert Levin. But there are always alternatives as well, so devotees of Alfred Brendel, Mitsuko Uchida and Clifford Curzon in the concertos, or even Karl Böhm, Eugen Jochum and George Szell in the symphonies, need not be disappointed . . . Cleverly planned so that contrasted performances of the same work are not lumped on to the same CD, the set takes some navigating, but the result is that each disc is a satisfying listen . . . Some of the revelations are in the tiny fragments of pieces that Mozart started but never had a reason or a deadline to finish -- here brought together but heart-breakingly incomplete, like his final Requiem. This is music of peerless craftsmanship and deeply ambiguous emotional content -- truly music for our age, lovingly assembled. The ne plus ultra of Mozart boxes: with curation like this, Amadeus's 225th death-day box will be hard to surpass . . . Where the strength and depth of the Universal catalogue really shows is in the discs of alternative arias, insertion arias, concert arias and classic performances. It's a case of "you name them, here they are" as a who's who of the last 50 years of opera recordings fly past in a dazzling array of vocal glories . . . Over 60 days, across Christmas and New Year, I listened to every single disc and can promise you I was never bored -- not for a moment. In short, Mozart225 is a remarkable achievement that, like the man himself himself, will surely stand the test of time. It felt very odd buying it as painlessly as this in one go and carrying the heavy, lavish tome back home . . . Everything by Mozart is here, including his Handel arrangements . . . we're spoilt for choice and often have a historical recording as supplement . . . It is a staggering achievement, although there's something a bit sick about great art being virtually given away like this . . . Thank you, DG! Man kann es nicht laut genug sagen: "Mozart 225" ist ein Meisterwerk, sowohl was Konzeption und editorische Sorgfalt anlangt als auch was die Auswahl der Aufnahmen betrifft. In der mehr als hundertjährigen Geschichte der Tonaufzeichnung steht diese Edition einzigartig da . . . Die Begeisterung über "Mozart 225" ist in der Fachpresse zu Recht sehr groß, und auch die Konsumenten schlagen zu . . . Dass Universal mit dieser Edition völlig neue Maßstäbe setzt, ist unbestritten . . .
. . . in solcher Ausführlichkeit und so schön dokumentarisch begleitet hat man den Komponisten Mozart noch nie geehrt . . . Noch nie waren auch sämtliche Fragmente, die sich erhalten haben -- inklusive solcher, die in jüngster Zeit erst wieder aufgetaucht sind -- in Tonaufnahmen greifbar. Das gehört zu den reizvollsten Seiten einer solchen Gesamtedition, dass Gedankensplitter, die nicht weiterverfolgt wurden, greifbar -- und in diesem Fall: hörbar -- werden . . . Man versucht wieder und wieder, die Geheimnisse der späten Trouvaillen, vom Streichtrio- Divertimento über die Quintette bis zum Requiem, zu enträtseln -- und sieht sich doch jedesmal aufs Neue nach wenigen Takten vollkommen überwältigt: Das Rätsel Mozart wächst mit jeder Begegnung. Der neue CD-Kubus, der zum 225. Todestag erscheint, sichert einem Musikfreund jahrelange Beschäftigung. Wer den Kubus mit seinen zwei Mozartbüchern, den reproduzierten Autografen und der Armada an CDs erstmals öffnet, wird sich jenes Glücksgefühls nicht erwehren können, das ihn einst im Spielzeuggeschäft überwältigt hat.
. . . gelungen . . . Fünf Kunstdrucke und die gediegene, doch keineswegs protzige Ausstattung machen so viel Freude schon beim Auspacken, wie man das wohl nicht von jedem Geschenk [behaupten kann] . . .
. . . un coffret éditorialement somptueux qui mérite absolument qu'on s'arrête . 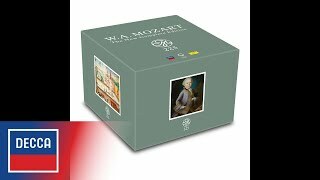 . . On se félicite que la nouvelle intégrale 2016 ait totalement intégré le geste révolutionnaire sur le plan sonore et stylistique des orchestres sur instruments anciens . . .
. . . ["Mozart 225 - The New Complete Edition"] est réalisée de facon magistrale, alliant l'exhaustivité à l'esthétique . . . une édition soignée et objectivement pertinente dont la qualité et la valeur ont été justement récompensées. Un travail d'orfèvre à travers l'incroyable discographie de ces deux labels où l'on retrouve aussi bien des grands enregistrements à succès que d'autres plus confidentiels . . . Sans doute la meilleure intégrale parue à ce jour. Exceptionnellement soigné, à tous égards . . . sans conteste le plus bel objet discographique arrivé sur le marché depuis la réédition luxueuse du "Ring" de Solti . . . L'objet est si impressionnant, et l'ambition éditoriale qui s'y réalise si réjouissante, que l'habitude de pinailler s'épuise vite sous la curiosité gourmande . . . La sélection, en s'éparpillant, a l'avantage de flatter tous les goûts . . .